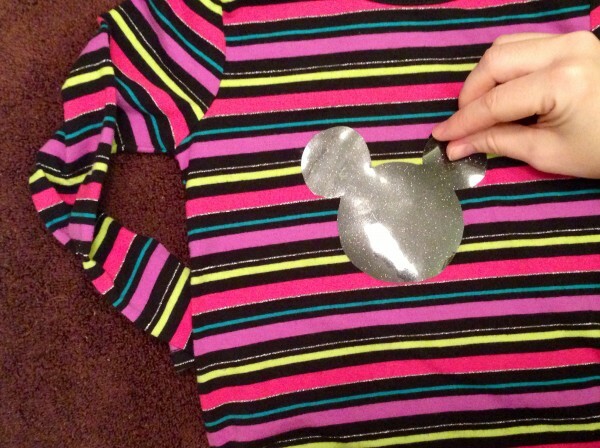 Home » All Things Disney » DIY Mickey Shirt – No Sew – with VIDEO! 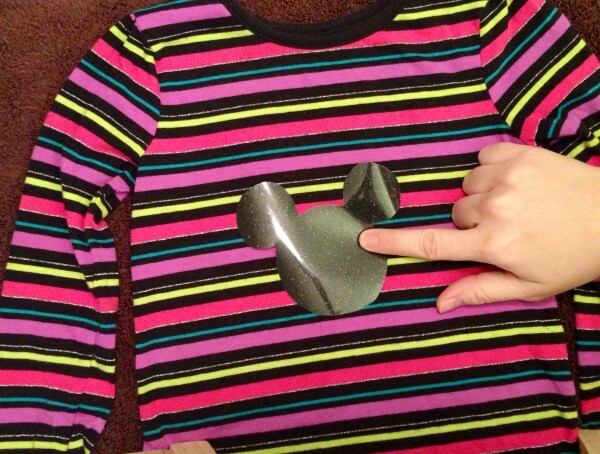 DIY Mickey Shirt – No Sew – with VIDEO! 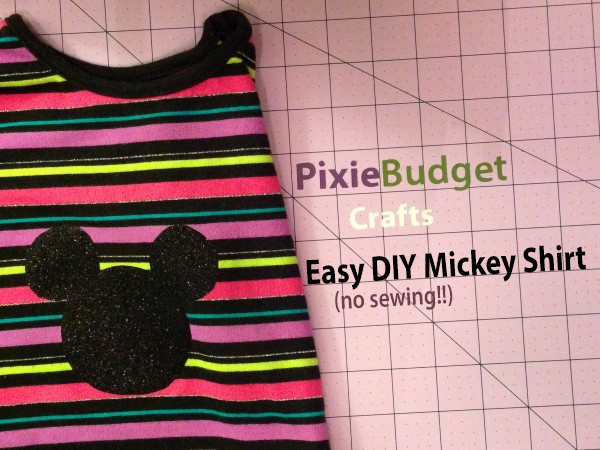 For my first ever video tutorial, we’re going to craft some seriously awesome Mickey shirts! 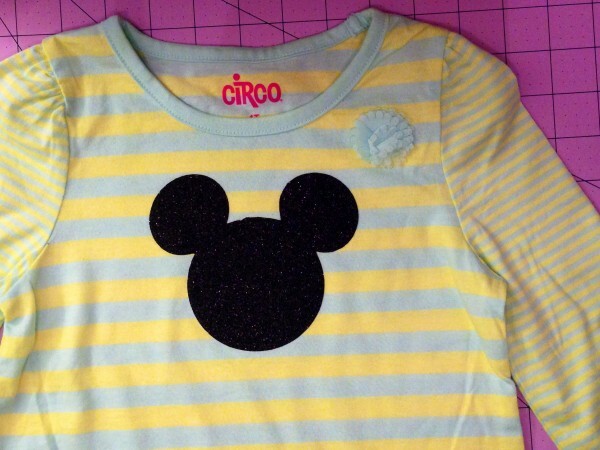 These shirts will save you a boat load of money over buying similar items at Disney World or Disneyland. Great to show your Disney Side too! 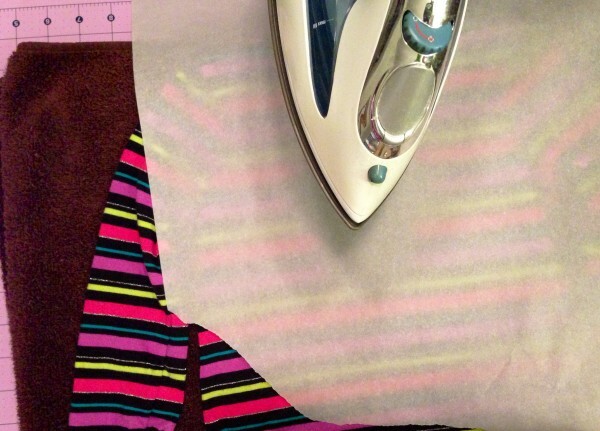 The best part is no sewing or painting required! The shirt shown in the video cost $4 at Walmart. The heat transfer vinyl with glitter was $15 at Joann Fabrics, however I got it on sale at 40% off. The vinyl isn’t a huge amount but you should be able to get 4-6 shirts out of it. 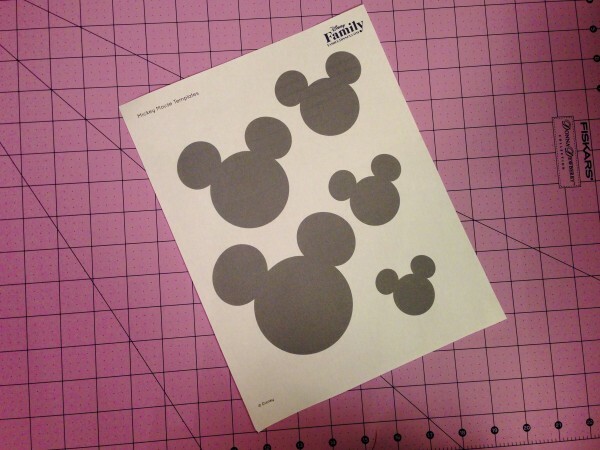 First, download the template from DisneyFamily.com and print it out. 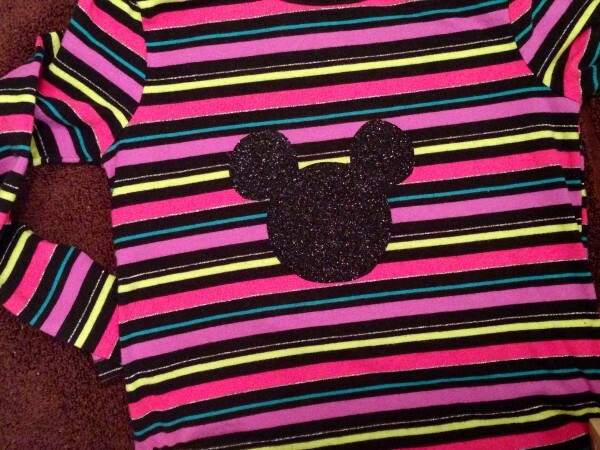 Use the largest Mickey head for the front of the shirt. This works just fine for small kids and toddlers. For teens and adults you might have to enlarge the Mickey head. Scan in the sheet, or adjust the settings on either your printer or Adobe Acrobat. 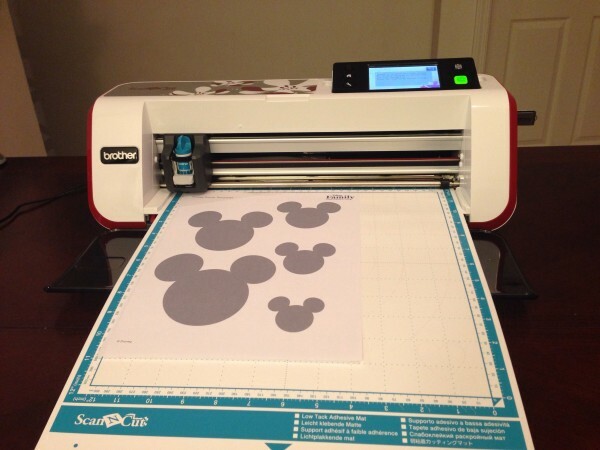 Tape the template directly to the heat transfer vinyl, and carefully cut out using a pair of scissors. 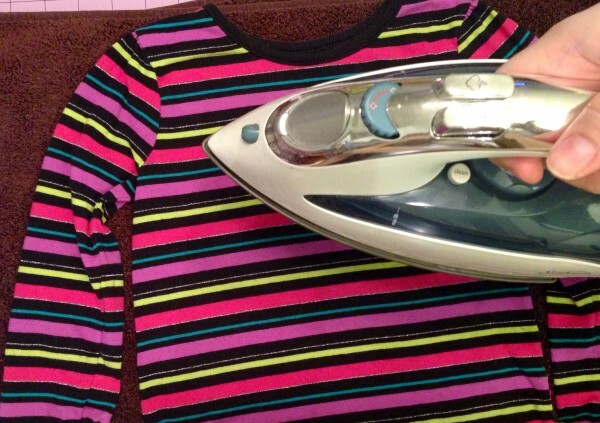 Next, pre-heat the shirt with the iron. Place the decal exactly where you want it, and cover with a piece of parchment paper. Press with the iron (don’t twist!) and hold for 15-20 seconds. Lift and press any area the iron didn’t hit the first time. Flip the shirt over to the backside and press again. After the shirt has cooled a bit, peel off the protective sheet. Done! It was really that easy! 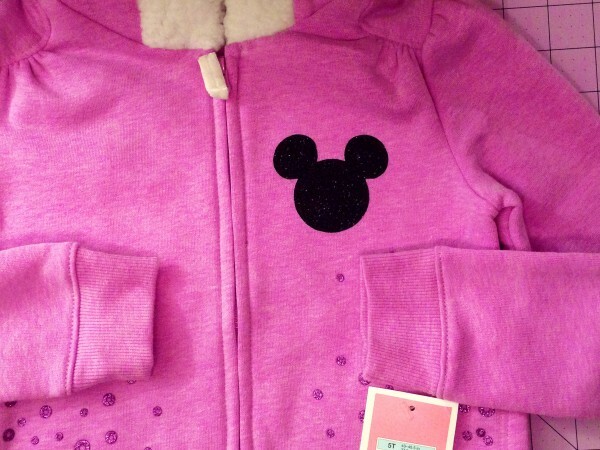 Add some Disney flair to polo shirts, sweatshirts, pants, bags, you name it! 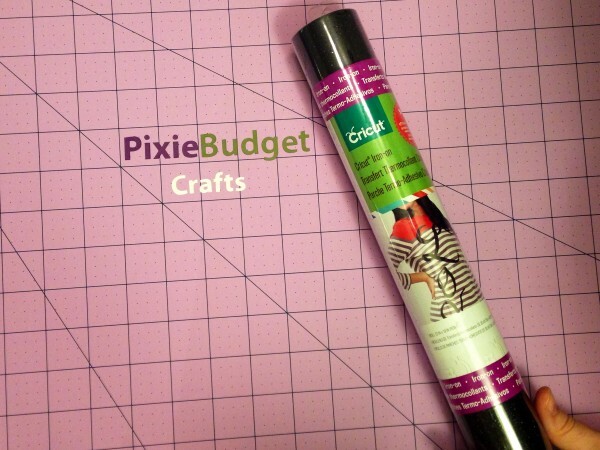 Again, this craft will save you a ton of money! For the next shirt and sweatshirt I made, I used my Brother ScanNCut to scan the Disney Family template and digitally cut the vinyl. I did this because it is a much more precise cut, but completely optional. The shirt made with scissors still looks great! If you’re interested, the I found the standard blade, low tack mat, and a blade setting of 5 worked best. Cut with the vinyl side down, and don’t completely cut through the protective layer. What do you think? Will you be making these easy shirts? More videos like this one? Let me know in the comments!